Deschutes Public Library is pleased to announce Rocket Men: The Daring Odyssey of Apollo 8 and the Astronauts Who Made Man’s First Journey to the Moon as the 2019 “A Novel Idea…Read Together” selection. The book, written by best-selling author Robert Kurson, was revealed at a public unveiling on December 1 at the Downtown Bend Library. It is the third time in the program’s 16-year history that a non-fiction book has been selected. “A Novel Idea” is the largest community read program in the state of Oregon. Last year more than 5,000 residents read, discussed and attended free cultural and author events at the Library’s six branches and at partnering businesses. With this year’s selection of Rocket Men, the Library is anticipating the highly successful program’s continued growth. Rocket Men shares the inside story of the dangerous Apollo 8 mission. In early 1968, the Apollo program was on shaky footing. President Kennedy’s end-of-decade deadline to put a man on the Moon was in jeopardy, and the Soviets were threatening to pull ahead in the space race. By August 1968, with its back against the wall, NASA decided to scrap its usual methodical approach and shoot for the heavens. With just four months to prepare, the agency would send the first humans in history to the Moon. In a year of historic violence and discord—the Tet offensive, the assassinations of MLK and RFK, the Chicago DNC riots—the Apollo 8 mission was the boldest test of what America could do. With a focus on astronauts Frank Borman, Jim Lovell and Bill Anders, and their wives and children, Rocket Men is a vivid account of the epic danger involved, and the bravery it took to leave Earth for the first time. Programming for “A Novel Idea” begins on April 6, 2019. What follows is three weeks of programs that explore and expound upon the themes and ideas found in Rocket Men. The programming culminates with a free presentation by author Robert Kurson on Sunday, April 28, at 4:00 p.m. at Bend High School. A book signing will follow Kurson’s presentation. All programs, including the author’s presentation, are free of charge thanks to the support of the Deschutes Public Library Foundation. 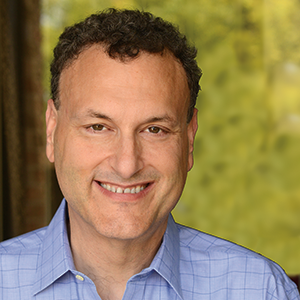 Free tickets are required for Kurson’s talk; they will be available to the public on April 6 online and in all Deschutes Public Libraries. Strobel says the program provides Deschutes County residents with a common forum in which they can discuss ideas, expand their knowledge, discover culture and explore similarities and differences in a safe and neutral environment. New for 2019, the library also provides book club bags to local book groups throughout Deschutes County. The bags include 10 copies of the book and discussion questions and are available for a two-week check-out. Book club representatives can call Paige Ferro (541) 312-1063 or email paigef@deschuteslibrary.org to reserve a book club bag. 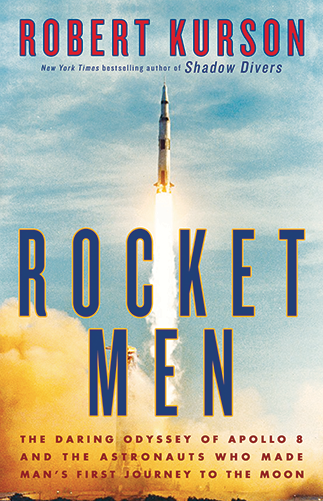 Robert Kurson’s Rocket Men shares the inside story of the dangerous Apollo 8 mission, focusing on the lives of astronaut heroes Frank Borman, Jim Lovell, and Bill Anders, while illuminating the political factors that prompted the decision to risk lives to save the Apollo program and define the space race. Kurson began his career as an attorney, graduating from Harvard Law School. His professional writing career began at the Chicago Sun-Times, where he started as a sports agate clerk and soon gained a full-time features writing job. In 2000, Esquire published “My Favorite Teacher,” his first magazine story, which became a finalist for a National Magazine Award. His stories have appeared in Rolling Stone, The New York Times Magazine, and other publications. His other books include Shadow Divers, the true story of two Americans who discover a sunken World War II German U-boat; Pirate Hunters, an account of two courageous divers and their quest to uncover the shipwrecked vessel of one of history’s most infamous pirates; and Crashing Through, the story of an entrepreneur who regains his eyesight after a lifetime of blindness.